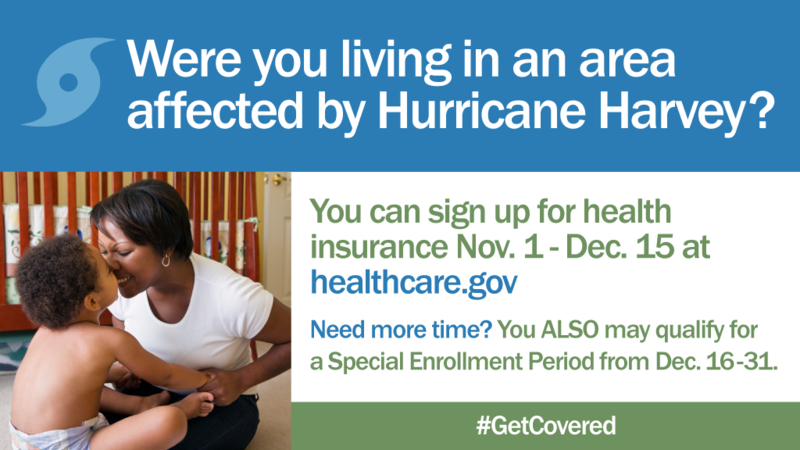 OPEN ENROLLMENT IS OVER – CAN YOU STILL ENROLL? Due to the holiday, there will be no NDNRC Update the next 2 weeks. The next one will be sent on January 12. We extend our best wishes to you and yours for a very Happy Holiday Season. While open enrollment may have ended in most states, states which run their own exchange can set their own open enrollment dates and some of these states have an extended open enrollment period for OE5. In fact, today represents the close of open enrollment in Connecticut and Maryland. For a complete rundown of the dates for open enrollment in the state-based marketplaces, check out our blog post. Additionally, Special Enrollment Periods (SEPs) may still be available to some consumers. Individuals who live in states which were affected by the hurricanes or who were unable to renew for 2018 due to their plan being discontinued may be eligible for a SEP. To learn more about these SEPs, check out our blog post “Tis the Season for SEPs.” You can also read more about available SEPs in this blog post from the Georgetown University Center on Health Insurance Reforms (CHIR). If you’re interested in materials to help with outreach for the SEPs, we have partnered with Community Catalyst on a project aimed at spreading awareness about the open enrollment period and the availability of SEPs (with tools like the graphic below). If you want to read more about this project, check out our blog post. If you want to understand more about those who remain uninsured, the Kaiser Family Foundation has a new report which looks at some of the demographics of the uninsured population. The report looks at the 27.6 million people who still don’t have coverage and asks why they don’t have coverage and would they be eligible for assistance if they applied. To learn more about the report or to download a copy, check out our news item. Federal funding for the Children’s Health Insurance Program (CHIP) expired on September 30. A new report from the Georgetown University Center for Children and Families details the number of children which could be affected in states expected to run out of funding. To read more about this report or to download a copy, check out our news item. You can also check out our news item from last week highlighting a fact sheet from the Kaiser Family Foundation which looks at what states are doing to address the potential shortfall. This week, Congress passed the long-awaited tax bill which does zero out the penalty for the individual mandate under the Affordable Care Act. For a more complete explanation of what this means for the ACA marketplace, check out this blog post from Health Affairs. This week, the Centers for Medicare & Medicaid Services (CMS) released the Eligibility Determinations and Enrollment Report from October 2017. This report can also be found on our Resources & Links page under “Enrollment Statistics.” Prior Medicaid enrollment reports from CMS, are archived on our website. The Ohio Disability and Health Program has developed online training modules that are designed to increase the capacity of health care providers to provide quality healthcare for persons with disabilities. The two courses are approved for continuing education by the Centers for Disease Control and Prevention for health professionals in multiple areas. For more information, please visit the OSU Disability Healthcare Training webpage.